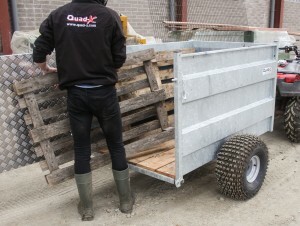 The Quad-X 5×3’3 quad stock trailer comes with high sides which are pressed strengthened, a wooden floor, quick release hitch and knobby tyres making it ideal for off-road use. The treated high grip floor design allows urine and faeces to be released so that ewes in lamb will have a safer ride and the chance of foetal loss will be reduced. 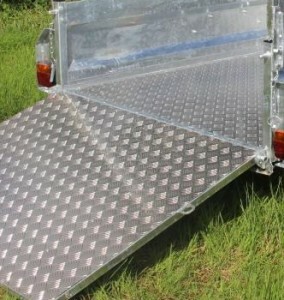 Full sided trailer comes with treated high grip floor design.